Polycarbonate-ABS alloy (PC-ABS) is a tough, thermoplastic that incorporates the best properties of both materials. 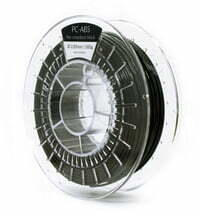 PC-ABS has the strength and heat resistance of polycarbonate and the flexibility of ABS. In the automobile, electronic and telecommunication industries, it is one of the most widely used industrial thermoplastics in the world. 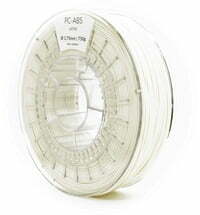 The use of PC-ABS as a 3D printer filament is a bit more complex. 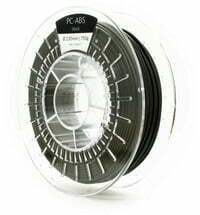 The filament is hygroscopic and requires high printing temperatures.